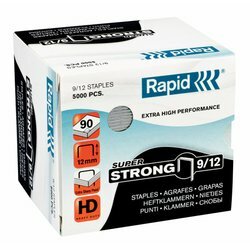 Staples are classified using two sets of numbers. 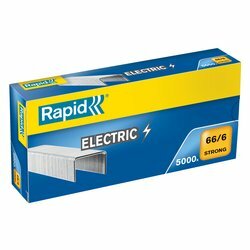 The first set represents the thickness or gauge of the staple wire (the smaller the number, the thicker the wire). 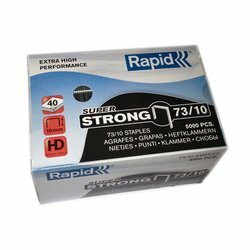 "24" and "23" classify these staples as 24 gauge and 23 gauge standard office staples are typically 26 gauge and not as durable. 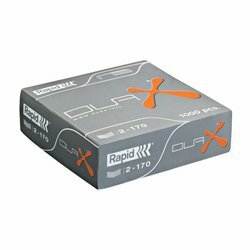 The second set of numbers represent the length (in millimeters) of the staple legs. 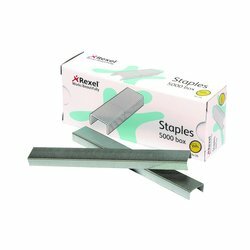 To help determine the length of staple that is needed for your application, add the number of sheets being stapled (10 sheets of standard paper is approximately 1mm) and add 3mm for clinching. 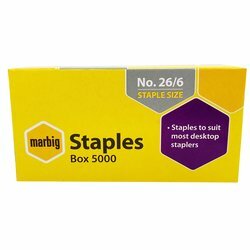 If the stapler you are using offers a bypass system, longer staples can be used when stapling smaller stacks of paper, as the staples lay flat with this system. 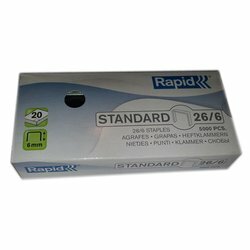 One size staple for 2-80 sheets of 80gsm paper. 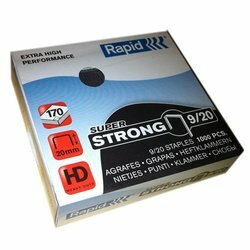 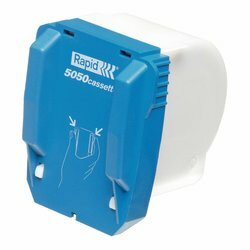 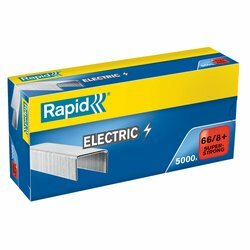 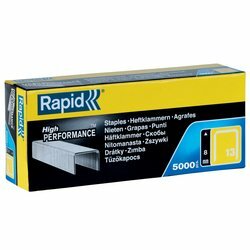 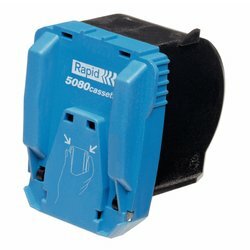 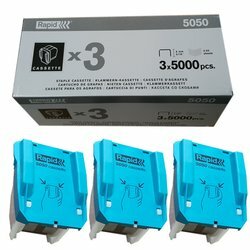 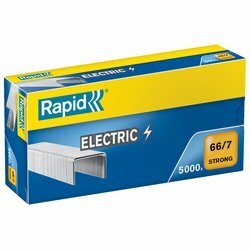 Only suitable for Rapid 5080e Electric Stapler. 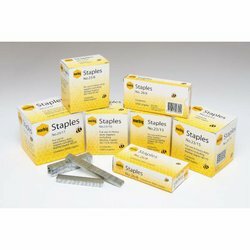 6mm staples, suitable for a wide range of office staplers.. This item will be despatched on the same day if ordered before 1.00pm! 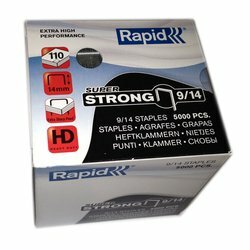 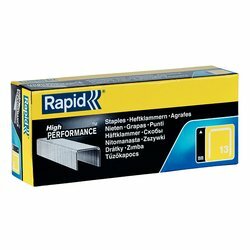 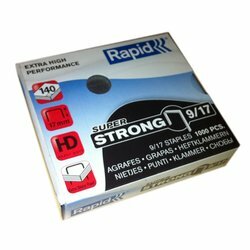 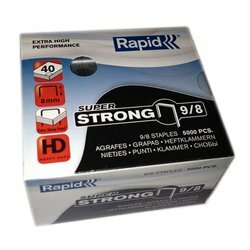 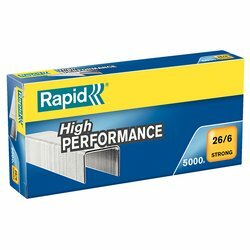 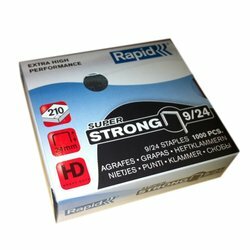 24mm staples, suitable for Rapid HD210 Heavy Duty Stapler. 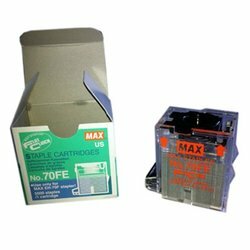 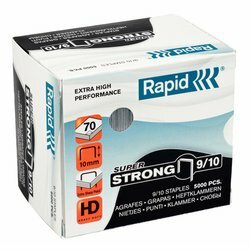 Staple cartridge for the Max EH-20F stapler. 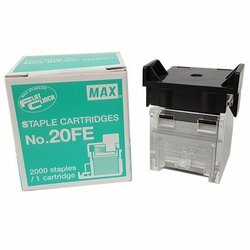 Contains 2000 staples per cartridge.